California Penal Code section 667 outlines the Three Strikes Law sentencing and punishment in California and explains that the sentence and punishment for felony strike offenses depend on the number of prior strike convictions you have on your record. The three strikes law sentencing is severe and could greatly affect your future. If you are convicted of a serious or violent felony under the Three Strikes Law pursuant to Penal Code sections 1192.7 or 667.5, and this is your first strike offense, the law is not triggered until you are convicted of another subsequent felony. For example: If you are convicted of robbery which is considered a violent offense under California Penal Code section 667.5, that conviction will count as strike on your record. The sentence you face for that conviction will not be affected by the Three Strikes Law sentencing scheme if that is your first felony strike conviction. However if you are later convicted of another felony like grand theft, your sentence for the grand theft conviction will be increased under the Three Strikes Law sentencing scheme as discussed below. Under California Penal Code section 667, if you have a prior felony strike on your record and you are convicted of any subsequent felony, your base sentence for the current offense will be doubled. For example: If you are convicted of a felony that calls for a base prison term of 3 years and you have a prior felony strike on your record, you will be required to serve 6 years in prison. Although the base term is doubled by the Three Strikes Law Sentencing scheme, the enhancements added to the charge (such as use of a deadly weapon) cannot be. If you have had at least two prior serious or violent felony convictions and you are later convicted of another serious or felony, you face a minimum of 25 years in prison or 3 times the sentencing term for the current felony conviction. For example: If you are convicted of a felony that calls for a base prison term of 10 years, your sentence will be tripled and you will be required to serve 30 years in prison. The maximum sentence for a third strike offense is life in prison. However, it must be emphasized that after Proposition 36 passed in California, in order for your third felony conviction to count as a strike, it must be a serious or violent felony. If you are convicted or plead guilty to two serious or violent felonies charged in the same case, both can count as strikes on your criminal record. However, your sentencing for those convictions will not be affected by California’s Three Strikes Law until after you are convicted of a subsequent felony. For example: You are convicted of both robbery and assault with a deadly weapon in the same criminal case. Although those two crimes are considered violent felonies, your sentence will be determined by normal California Penal Code sentencing guidelines because they arose out of the same incident and you had no prior felony strike convictions on your record. However, if you are later convicted of another serious or violent felony, the California Three Strike’s Law will come into play. Since you have two prior felony strike convictions, a subsequent serious or violent felony conviction can be punished by 25 years to life in prison. Generally, if you are convicted of a felony and have to face prison time, you only need to serve 50% of your sentence in order to be eligible for parole. However, if you have two strikes on your record and are required to serve time for a subsequent felony conviction, you must serve a minimum of 80% of your sentence before you become eligible for parole. Third strikers must serve the minimum 25 years of their sentence in order to become eligible for parole yet no one has yet qualified since the law was passed in 1994. Call our offices before it’s too late. We will get through this together. The sentencing and punishment under California Three Strikes Law can be severe and potentially life changing. 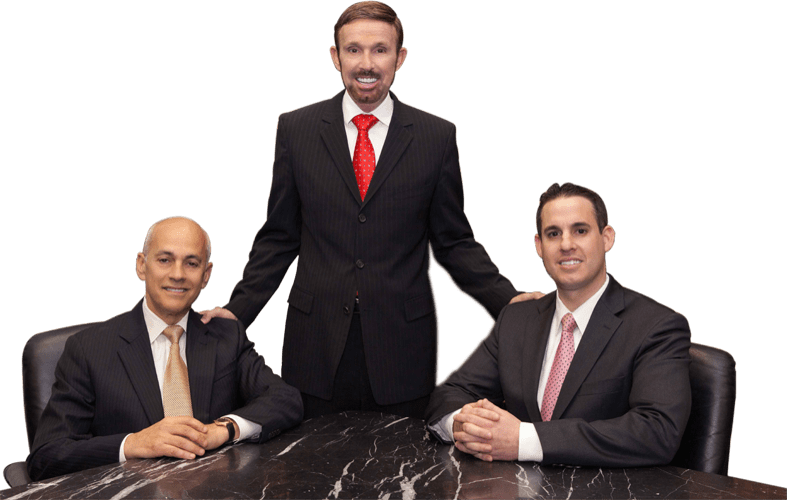 If you or someone you know has been accused of a serious or violent felony and face a possible strike on your record, you need to contact an experienced criminal defense lawyer in California who will carefully review the facts and the law to give you the best representation possible. With offices in Orange County, Los Angeles, San Diego, San Bernardino, Riverside, Ventura and Victorville, Wallin & Klarich has over 30 years of experience in defending our clients against felony strike offenses. We will carefully review the evidence against you and help you win your case.